Aluminum Investment Castings – Ferralloy Inc.
Aluminum and aluminum alloys are among the most commonly used metals for investment casting; almost any castable metal may be used such as copper, brass or steel. The main disadvantage is that investment castings tend to be more expensive per unit. However, the equipment cost is generally lower and the parts require little machining or finishing after they are cast. Investment casting is generally used for small precision parts that would be very difficult to produce through any other method. Aluminum castings can have walls as thin as half a millimeter. They range from a fraction of an ounce to over 1,000 pounds though most castings are 15 pounds or less. Investment castings have been used in jewelry making for centuries but are now finding many more uses including precision instruments, engine parts, and medical equipment. 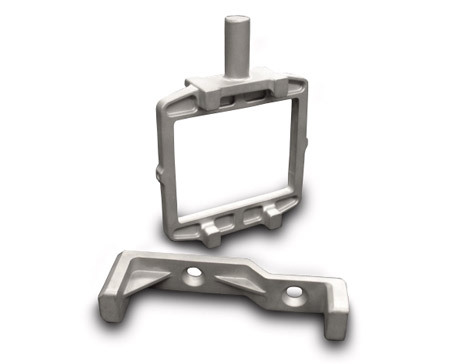 Because of the wide application of manufactured metal parts, aluminum investment castings are found in the aerospace, automotive, military, dental, mining, food processing, sports, and telecommunication industries. The process begins by creating a wax pattern called the master die by carving or by injection molding. The wax pattern may be assembled with other wax patterns and is then attached to a wax sprue, or rod, so they can all be cast at once. As many as several hundred patterns may be assembled around the sprue. Once firmly attached, a ceramic slurry called the investment is applied through two main methods. In the first, the cluster of patterns is dipped into the investment multiple times and removed to achieve a uniform surface and thickness. The other method is to place the cluster in a flask and fill it with the investment, vibrating it to allow pockets of air to escape and to ensure that all the spaces inside are filled with the investment. Drying is the next step and can be accelerated by placing the assembly in a vacuum or by a fan. Once dry, the assembly is turned upside down and placed in a furnace or oven. The wax melts and drips out or is vaporized. The mold is heated further to remove any moisture or wax residue; this step in the process is called the burnout. Liquid aluminum is poured into the space where the wax used to be, drawn in by gravity, vacuum, positive air pressure, or centrifugal casting methods. Once cooled, the hardened investment shell is hammered, vibrated, dissolved or sand- or water-blasted off, releasing the aluminum part inside. Aluminum Investment Castings Aluminum investment casting is the process that produces industrial parts through the metallic replication of wax models. 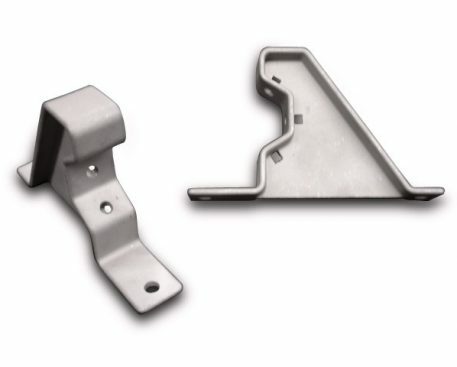 Molten aluminum is used to create parts that have a very smooth surface finish, high dimensional accuracy and acute detail without flash or parting lines.